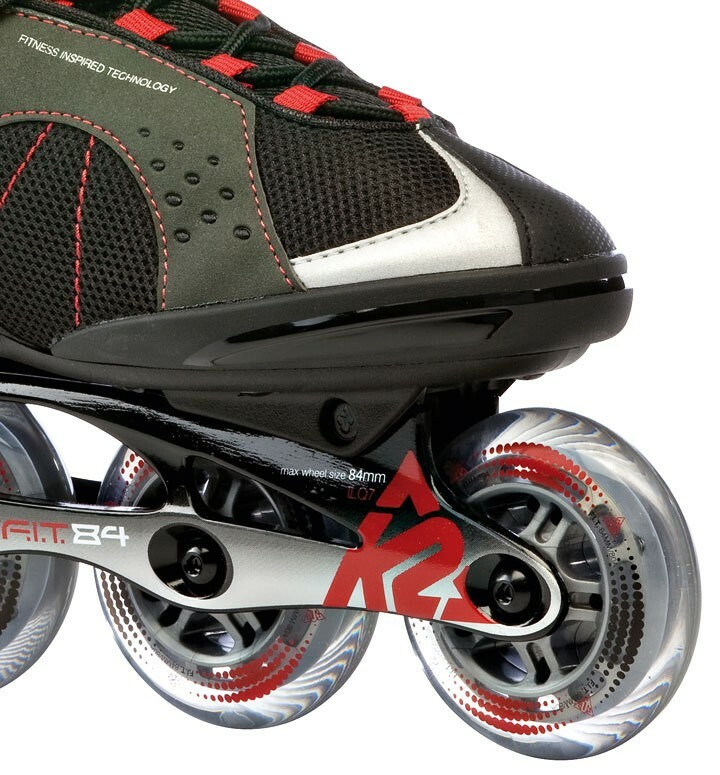 Enjoy the sport in the outdoors or social skating in the park - which is K2 Fit liner 84 with the 84 mm wheels and aluminum frame perfectly equipped for it. The average wheel size is very good for beginners and suitable for experienced skaters. Smaller bumps are casually rolled over, in the handling surprisingly good cornering and braking. The direct transmission of the enthanced stability cuff and the soft boot fit work so well that you keep the skate does not on the feet after a few meters. So it should be! 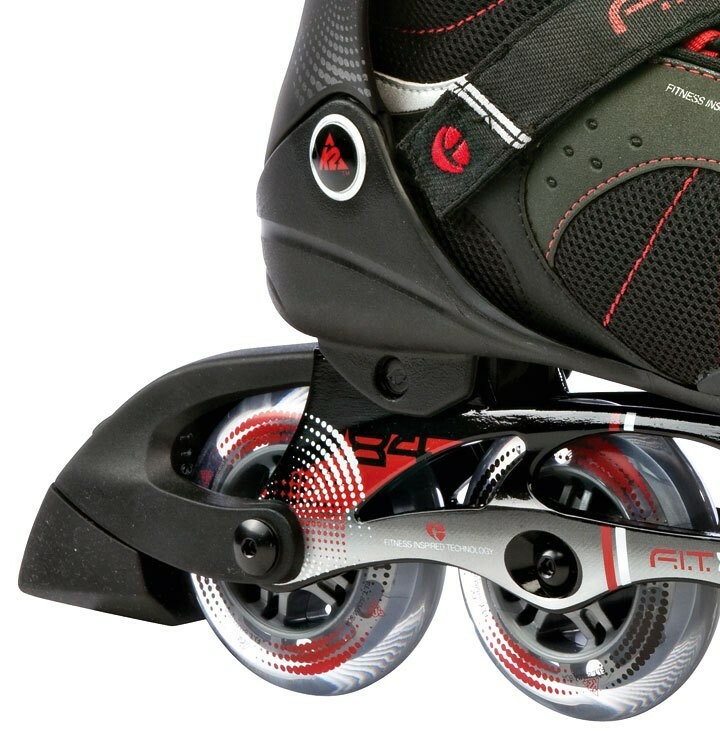 The skate has a conventional lacing, also holds a Velcro power strap lock your heel firmly in position on top of the cuff is attached to a ratchet strap. The necessary smooth-running speed you get through the two equipped with ILQ-7 bearings 84mm wheels. The hardness of the wheels 80a, a rather softer role, the ride comfort by offering better shock absorption. The sheeting manufacturer brand bearings are Twincam. The braking system is fitted with a brake mounted on the right skate part in an easy to replace the brake pads. Of course you can also easily mount the brakes on the left-skate. 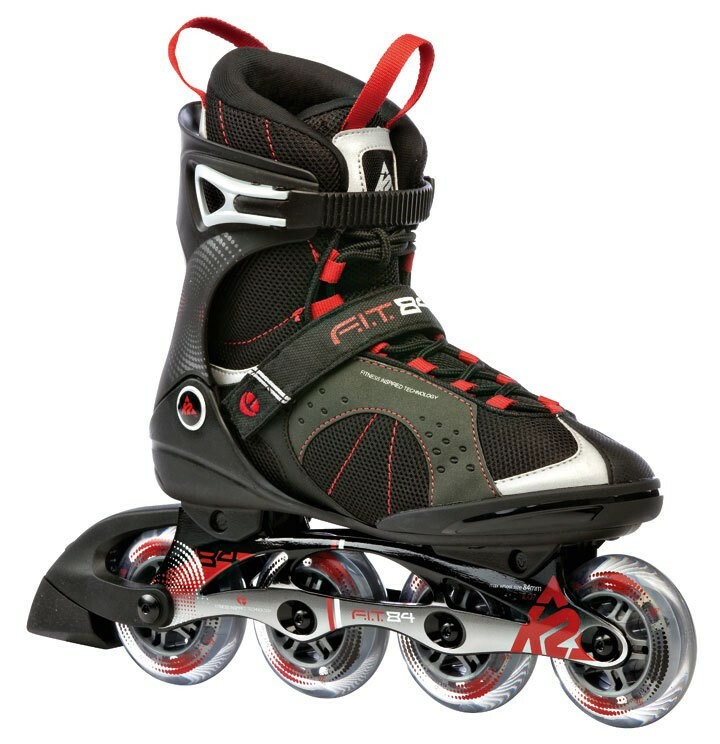 Important: Inline skates should be ordered one size larger than street shoes. Do you have problems with the correct selection of shoe size? Send us an e-mail, we advise you!